Ok ok I know some of you will raise an eyebrow at this. I mean just the name could get a "side eye" right? No Mayo Coleslaw? That makes no sense!! If you're interested in healthier alternatives to our favorite foods, then this makes perfect sense :) I used all fresh ingredients. If you want to buy the bagged coleslaw from the store, you can do that too. However I think you will find the fresh veggies that more crisp and delicious! 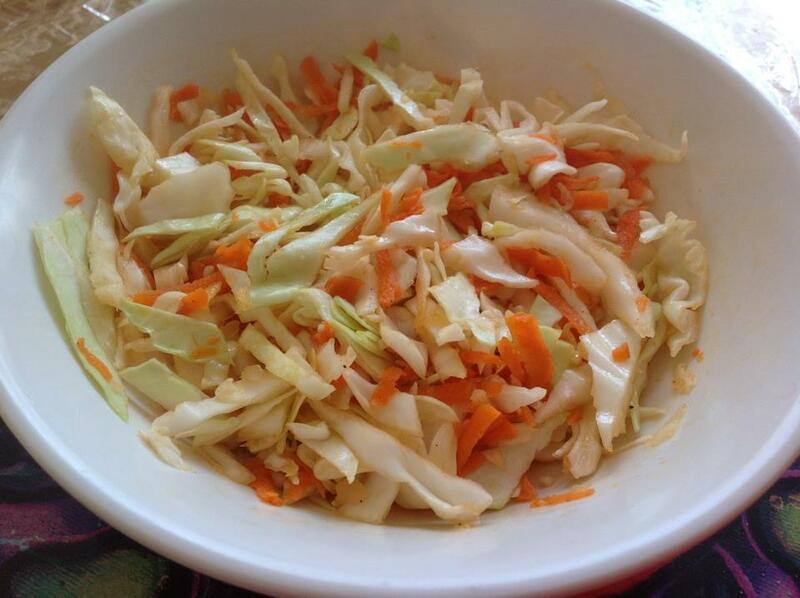 Combine carrots and cabbage in a large bowl. In a small mixing bowl combine onions, garlic, olive oil, salt and pepper. Pour olive oil mixture over cabbage and carrots and mix well. Cool idea and I will pass this one on for sure. Huh, no mayo? Thanks for this recipe...this will definitely keep the bad fats out of my coleslaw. Very nice pics! Thank you! Let me know what you think when you do it. 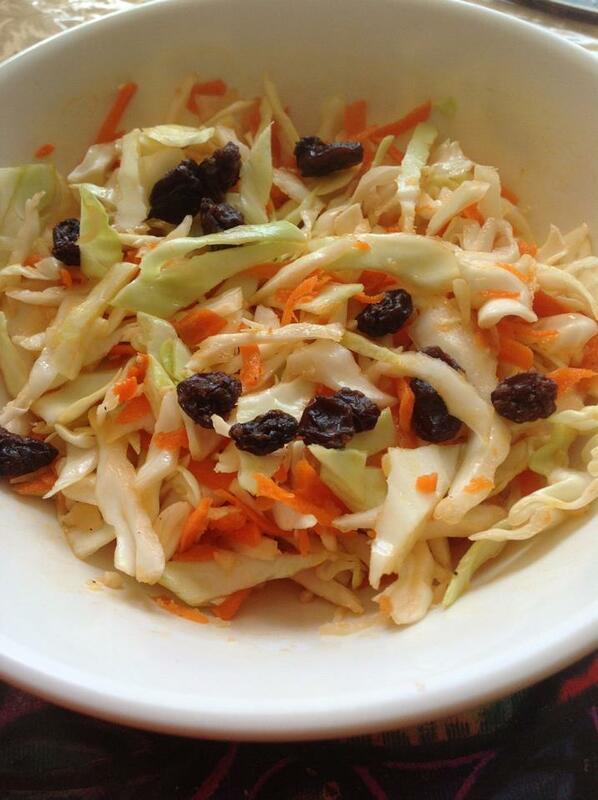 I like to soak the cole slaw (sans raisin) in vinegar, salt, and scotch bonnet peppers -- it's sooooo gooooood! !